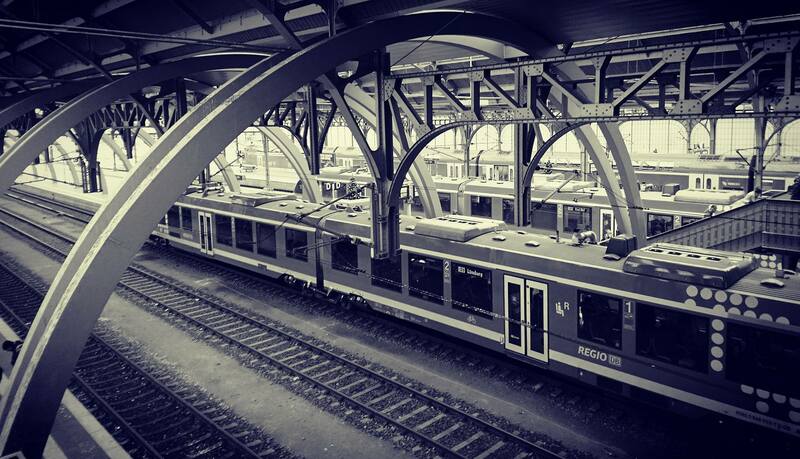 I wanted to share a photo with you of the train station in Lübeck. But this is actually a photo that I didn’t take. My mother shot it with her smartphone and I really liked the image. I like the perspective from where it is shot. Since I do of course know the train station too, I think she shot it from the stairs. This photo is in my opinion a great example that it’s actually not bad to take photos with a phone. Not only is the quality satisfactory, but another advantage of smartphones is that they have a much wider field of view. I tried to take photos in the train station as well but even at the wide end of my 18-105mm lens I was not happy because I still had to move myself to get photos from certain angles, especially due to the crop factor of my APS-C camera. Smartphones take much wider photos. When I told my mother that I really would like the perspective of the image, she asked me if I would want to share the photo on my blog, and I said “Yes. I’d like to do that!”. I hope you like her photo too! I like the perspective too and of course railway stations are a favourite subject of mine. It also proves the point that good photography is as much about the eye of the photographer as the equipment although I take the point about the wider angle of smart phones. Friends of mine have taken panoramic shots of yachts on the Derwent that I just can’t take myself. I knew you would be curious if I would post a photo about trains. 🙂 I think the crop factor of our APS-C cameras are limiting us when it comes to wide angle photos. That’s a big plus of full frame, because there you won’t multiply the focal length of your lens by 1.5. Anyway, it’s not that we are unhappy with our cameras 🙂 I’d still take photos with my phone from time to time if I would not have my DSLR with me, but over the years the integrated camera in my phone got worse and worse. In the future when I have a new phone, I will probably take photos with it again too at times. It is a wonderful shot with the arched steel and the train. Wonderful in black & white, too. I like how the arched steel basically leads my eyes to the trains. I think too that my mother took a great photo here.